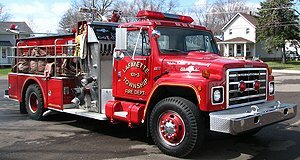 A 1994 Spartan/4Guys custom pumper. 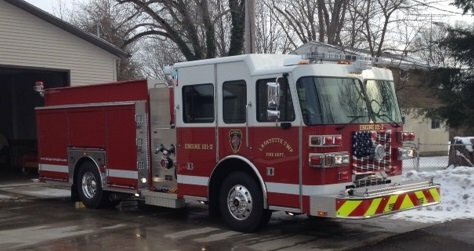 This unit is equipped with a 1250 GPM Hale pump, 1000 gallon booster tank. In 2013, an Onan generator, 4000 watt Wil-Burt light tower, and coffin type compartments in the existing hose bed were installed. The upgrades to this unit was an effort to consolidate apparatus. This unit carries the departments extrication tools as well as class B foam. This unit has seating for 5 personnel and is assigned to station 1. A 2013 Sutphen S-2 Shield series custom pumper. 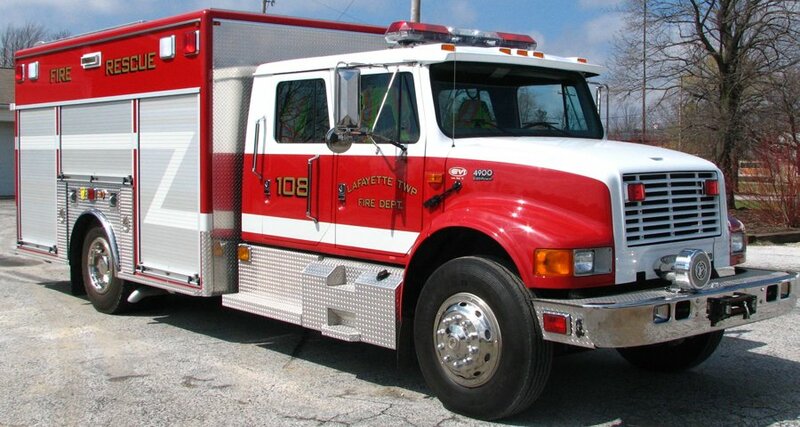 This unit is equipped with a 1500 GPM Waterous pump, 750 gallon booster tank and 30 gallons of class A foam. This unit has seating for 6 personnel and is assigned to station 2. A 2010 Sutphen S-2 Shield series custom pumper. This unit is equipped with a 1500 GPM Waterous pump, 750 gallon booster tank and 30 gallons of class A foam. This unit has seating for 6 personnel and is assigned to station 1. A 1992 International/4Guys elliptical tanker. This unit contains a 1000gpm Hale pump with an 1800 gallon booster tank. This unit has seating for 3 personnel and is assigned to station 2. A 2005 Ford F350.This vehicle was purchased through state bid and is equipped with a Darley skid unit. A diamond plate tool box and deck and all emergency lighting was installed by members of LTFD. This truck is also used to pull our fire prevention trailer. In 2008 a western snow plow was purchased and installed by members as well. This was the first vehicle to receive safety chevroning. This unit is assigned to station 2. A 2007 Ford E350/Road Rescue. This unit replaced the Townships last gasoline engine vehicle. Equipped as an ALS unit. This unit is assigned to station 1. A 2011 Freightliner M2/Braun. Equipped as an ALS unit. This unit is assigned to station 2. 2002 – 33’, 2-story, Surrey Fire Safety House. This trailer contains 2 floors; the 1st floor is used for severe weather training and resembles a typical living room, while the 2nd floor is used for fire training and resembles a typical bedroom. The 2nd floor opens out to an outside deck where children can learn how to use a fire escape ladder. The trailer also contains a fully operational kitchen where basic kitchen emergencies can be taught. This unit contains a full lighting and sound system to simulate storms and lightning. It also contains a heated door to train children, and even adults, on how to test doors during a fire. The unit is also plumbed so that the entire trailer can be used for smoke simulations. This helps provide a realistic and dramatic feel of what one may encounter in the event of a fire emergency in their home. A 1989 Zodiac Hurricane 530, purchased from BLM Yacht Sales LDT out of Swansea, MA. The boat is 17 feet long and includes a center console, hard bottom, and a 1998 90-horse power outboard motor as well as 2005 trailer used for transporting the unit. A 1992 Chevrolet / McCoy Miller. This unit has been retired and was replaced by the new 107-1 in 2007. A 1997 International/Horton. Equipped as an ALS unit. This unit was refurbished in 2009 to include all new paint, LED lighting, various and much-needed repairs to the engine. This unit had a vertical exhaust, which was removed and re-directed, to the driver’s side ground. This was the second vehicle to receive safety chevroning. 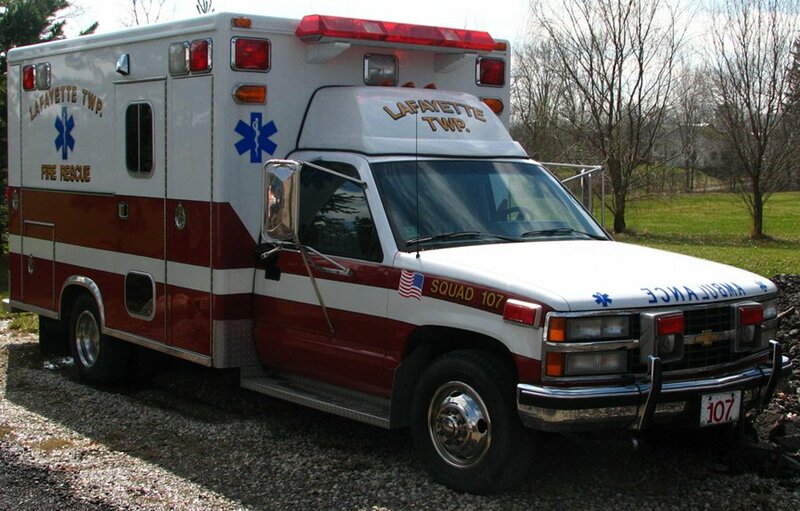 This unit’s former number from Chippewa Lake was 117.This unit is assigned to station 2. 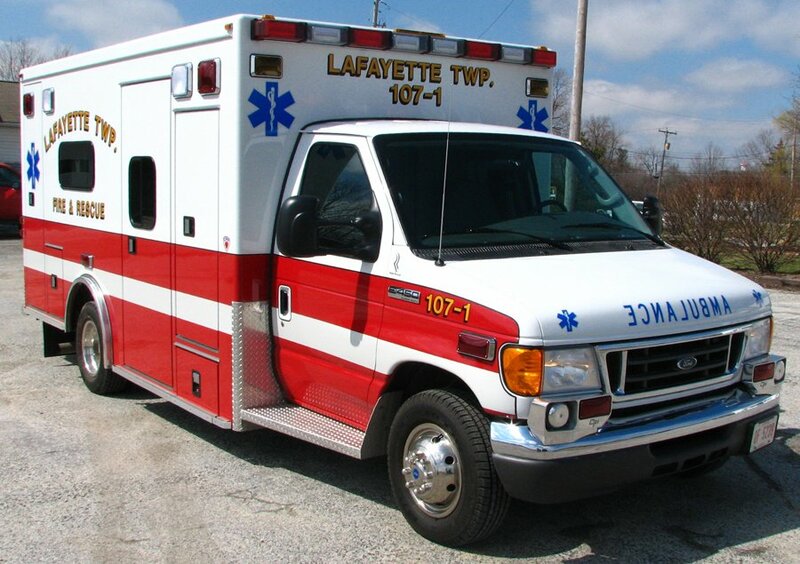 This unit was retired in 2011 and sold to an ambulance company in Pennsylvania. A 1985 International/Grumman Firecat. This unit contains a 1000 GPM Waterous pump with a 750 gallon booster tank. This unit has seating for 2 personnel and was assigned to station 2. 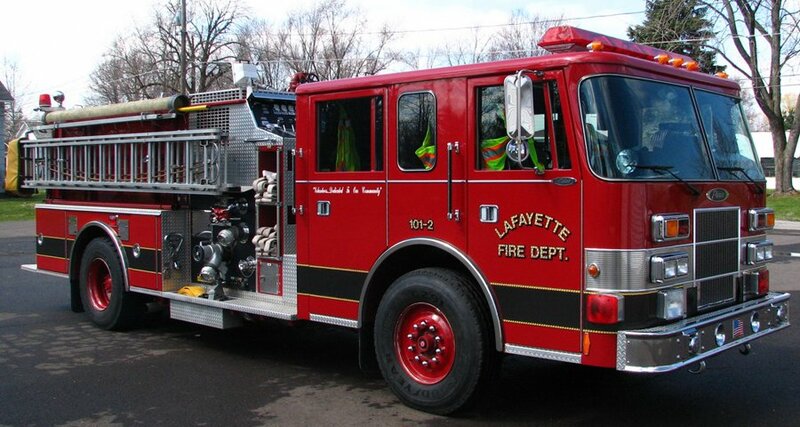 This unit was the last of the manual transmissions trucks in the LTFD fleet. This unit’s number from Chippewa Lake was 111. This truck was retired and sold at auction in October of 2009. 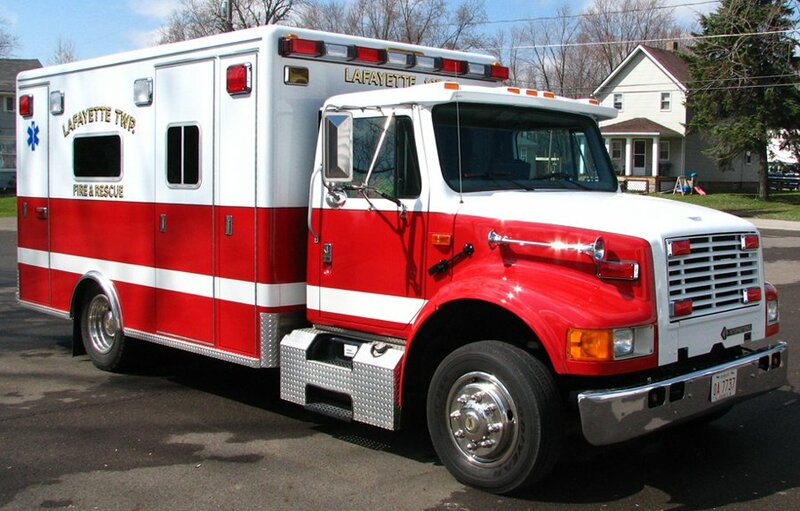 A 2002 International/EVI medium duty rescue. This unit carries Amkus hydraulic tools and is equipped with a complete set of air bags and multiple other rescue tools. 4000 watt Wil-Burt light tower. Also carries an assortment of water/Ice rescue equipment. 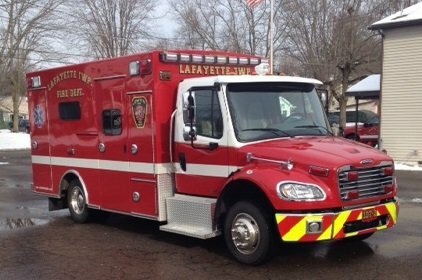 Unit has seating for 5 personnel and responds to all motor vehicle accidents and structure fires and is assigned to station 2. 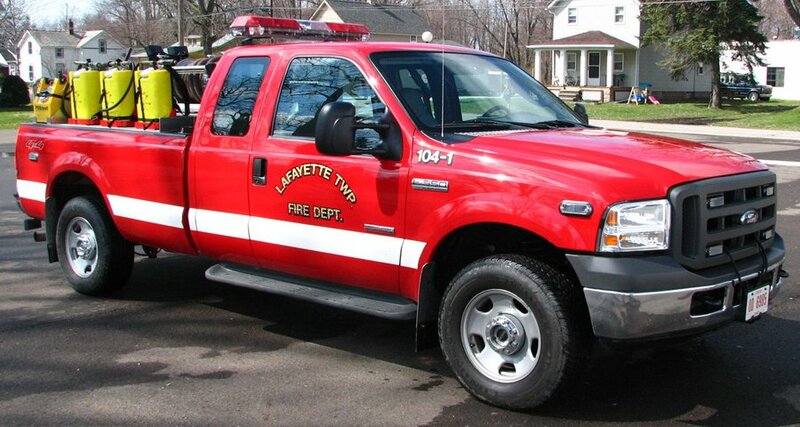 This unit was retired in 2010 and sold to the Huron River Joint Fire District in Monroeville Ohio. 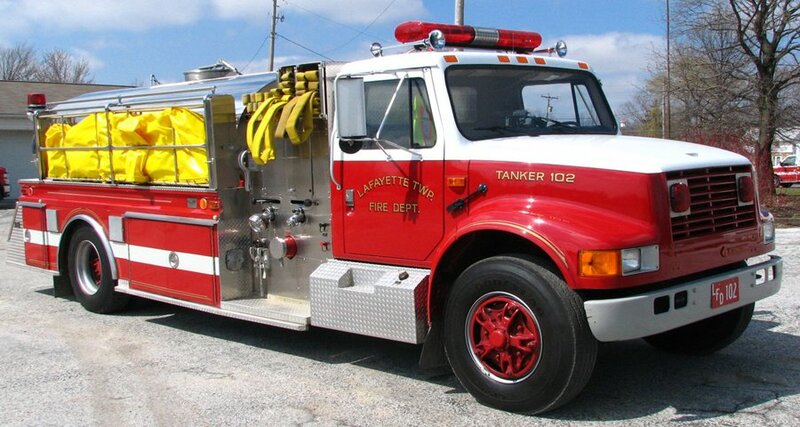 A 1994 Pierce Saber custom pumper. This unit contains a 1250 GPM Waterous pump with a 750 gallon booster tank. This unit has seating for 6 personnel and is assigned to sta.2. 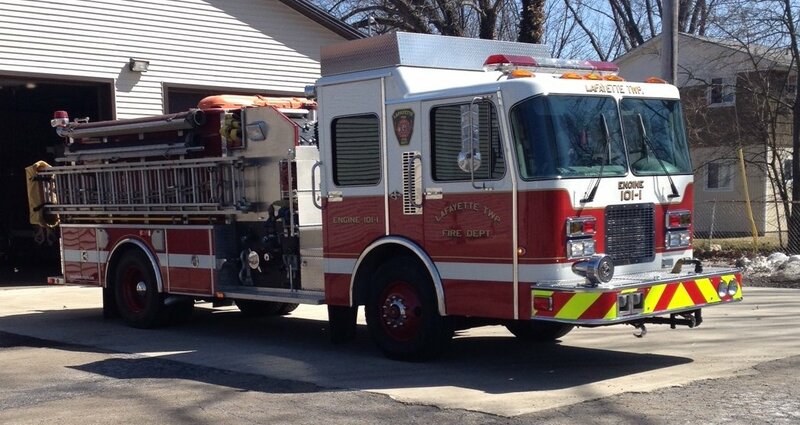 The current color scheme of this engine was from Chippewa Lake prior to the merger and was Engine 111-1. 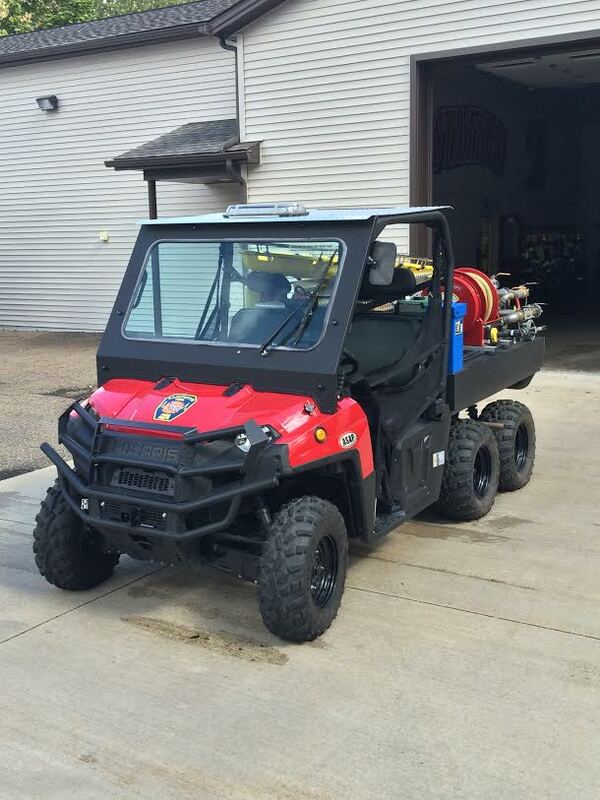 This unit was retired in 2013 and was sold to the Abrams Fire Department in Abrams Wisconsin.